Does your child have ichthyosis? As a new parent of a child with ichthyosis, you may feel confused, worried, or even alone. It is perfectly natural and you can rest assured you have come to the right place. FIRST has an extensive library of information and connections that will answer your many questions and help you as you and your child grow. From feeling comfortable in those very first moments in the Neonatal unit, to learning what to expect when your child goes to pre-school, to finding support from other families and parents that have walked the very same path, FIRST will guide you every step of the way. In this section you will find information and resources that will make your journey easier. Tips like how to communicate with your medical team, bonding with your baby, best practices for bathing, caring for infections and scale scalp, and the all-important ways to care for yourself while caring for your child with ichthyosis or a related skin type, are just a few of the topics you can expect to find. Our affected families and medical professionals from coast to coast have participated in preparing all of our New Parent resources, so you will learn directly from those "who have been there." Soon you'll be finding all the support you need from our big family here at FIRST. Welcome! There's so many ways to find support and connections through FIRST! 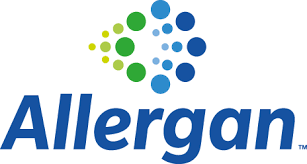 New Parent resources are provided from a grant from Allergan.